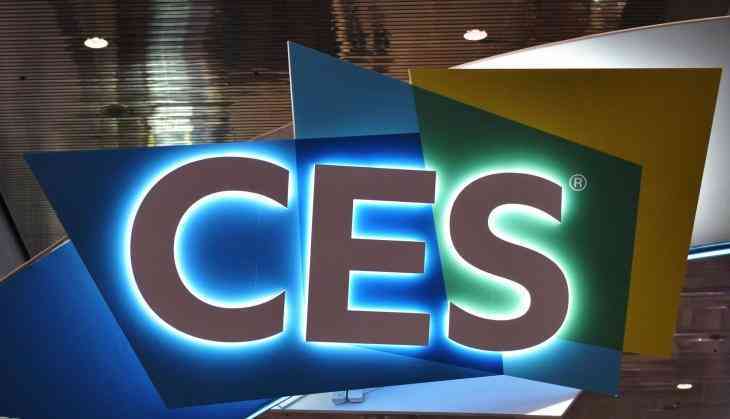 The Consumer Electronics Show is officially a go. Sunday, 7 January, was press day 1, and a lot of companies showcased the very latest - some even went old school - technology. There will be one more day for the press before the doors are thrown open to the public. For now, here's a quick roundup of everything that was announced on day 1. Nvidia has come out with a BFGD monitor. BFGD stands for Big Format Gaming Display. It's a monitor that has been built by American technology company Nvidia, with the help of partners Acer, Asus and HP. You may ask why it is Big Format. The answer is because this monitor is 65 inches! It's one of the largest desktop monitors ever. Essentially, this is a TV built specifically for gamers. It comes with Nvidia's G-Sync technology. Here's CNET's definition of the technology, "employs variable refresh rates to synchronize a display's refresh rate and gameplay frame rates to prevent artifacts like tearing and stutter". This monitor has a 120Hz refresh rate and supports true high dynamic range (HDR) for both games and videos. It has a resolution of 4K. No pricing has been announced as of yet but Nvidia has said that the BFGD will be shipping later this summer. Acer has kicked off 2018 with the unveiling of the world's thinnest laptop ever. The Swift 7 notebook comes in at just 8.98mm thick. It is slated to go on sale in April at at $1,699. The laptop has an all-black aluminum design. There is a 14-inch (1,920x1,080 resolution) touchscreen with ultra-slim bezels and 4G LTE connectivity. The only downside is that the Swift 7 packs in Intel's older 7th-gen processor. With that in mind, the Swift 7 is slightly pricey. French company Short Edition has come out with its Short Story Dispenser. It is a slender cylinder and the plexiglass on the top reads, "select your reading time". There are three buttons atop the cylinder - "1 min.," "3 min." and "5 min.". Basically, you press the button and decide the length of the story you want. A couple of seconds later, an original short story is printed. It comes on thick paper and doesn't cost a cent. Short Edition, the publisher that has come up with the machine, inteded for this device to be used as a medium to share the work of its authors to a larger audience. It's been seen at train stations, airports and hospitals in France since 2016. At the moment it contains over 85,000 short stories. In fact, Francis Ford Coppola was instantly impressed. He has placed an order for one for his Cafe Zoetrope in San Francisco and has even invested in the company. "A short story is a very good basis for a movie because a short story you read in one sitting and a movie you see in one sitting," Coppola said. Samsung doesn't know how to hold back. MicroLED is what Samsung is calling this TV technology and it might just one-up OLED. Samsung brought with it to CES a huge 4K television that it is calling The Wall. The Wall is the “the world’s first modular TV," according to the South Korean company. It comes in at 146 inches. It uses the MicroLED technology to produce its picture. The Wall has a bezel-less design, a la Samsung's Galaxy line of smartphones, and says that the “module-based.” design will allow the consumer to dictate just the size suitable for their requirements. The Wall, for the time being, is just a concept, but if you listen to the South Korean giant, then you'll realise just how serious they are. There is going to be a "global launch" later in the spring. One thing is for certain, for launch, and probably a year or two after, The Wall is going to be one very expensive device. It is time for 8K TVs to become manistream. Samsung has unveiled the Q9S. It is the first 85-inch 8K TV with artificial intelligence. Heatworks and Frog Design have come together to collaborae and bring out Tetra. Tetra is a connected and compact dishwater that dishes out 10-minute, half-gallon cycles. It is powered by Heatworks' Ohmic Array technology. This technology uses graphite electrodes to heat the water. This countertop dishwater can be monitored through a companion app and one can adjust water pressure, start remotely and adjust cycle from within that app. It is slated to cost $299 when it comes to retail and will go on sale in late 2018. HP is one of the first companies to bring out a laptop Intel’s new 8th generation Core processors with Radeon RX Vega M GPUs. It's the same model as last year, with updated internals only. It will retail at $1,369.99 and ship on 18 March. Anker has a sub-brand called Nebula. The company is bringing a miniaturized version of its projector to general availability. the Nebula Capsule is an Andorid-based DLP projector. As a bonus, it doubles up as a Bluetooth speaker. It is as small as a soda can. It is now selling on Amazon for $349.99. The Psion 5 - a PDA that was in everyone's hands - from 1997 is getting an update to make it relevant in 2018. It's the Gemini phone and comes from UK outfit Planet Computers. It comes with modern-day specs - 10-core processor, 64GB of storage, 4G, Wi-Fi and Bluetooth connectivity and most importantly, a full-width QWERTY keyboard. Right now, it is only available from Indiegogo. The 4G LTE model sells for $599. Wi-Fi only model comes in at $499. Sony has unleashed a trio of Xperia phone that are primarily targetted at selfie aficianados. Xperia XA2, XA2 Ultra and L2 feature a camera that can shoot 120-degree selfies at 8 megapixels. The XA2 Ultra allows for 16-megapixel selfies without the wide-angle option. These three smartphones are part of Sony's midrange lineup. The X2 Ultra, being the highest of them all. These phones will be getting a fingerprint sensor on the back of the phone. All three phones will go on sale in late January and prices will be announced closer to launch.